I look forward to meeting new friends and families as I begin my first year as a School Psychologist with the Pottstown School District. I received my Bachelor of Science degree in Psychobiology with a minor in Child Development from Albright College. I received my Master in Arts and Educational Specialist degree from Rowan University. 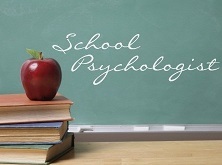 Last school year, I completed my school psychology internship with the Harrisburg School District.